A reliable source for Industrial Balers information and a resource for accessing leading Industrial Balers and suppliers. A baler is a machine that manufacturers use to bind and compress different materials. Balers are capable of binding and pressing materials such as plastic, scrap cloth, garbage, grain and many other materials. They are used mainly to compact, bind, and bale recyclable materials, like paper, for the purposes of storage and transportation. Companies that use industrial baler machines spend less in waste recycle disposal due to the balers’ ability to reduce storage and transportation size. For example, if users bale scrap metal down to an efficient size, they can efficiently transport the scrap metal to a factory where it can be recycled and reused as sheet metal. Similarly, baling certain materials such as fibers created from newsprint paper can enable it be used in other industries such as the production of shoe soles. Baler Manufacturers A baler is a machine that manufacturers use to bind and compress different materials. Balers are capable of binding and pressing materials such as plastic, scrap cloth, garbage, grain and many other materials. Since 1962, Maren has lead the industry building powerful and reliable manual tie, automatic tie and two ram balers, shredders and conveyors. Himes Service Company specializes in balers, conveyors, compactors, sort systems, & more, across all industries supporting their recycling and scrap processing equipment needs Nationwide. The only thing stronger than an Excel baler is the loyalty of our customers. Excel continues to break new ground by designing equipment with energy-saving technologies and developing balers to fit your business and solve your problems. If you are currently paying for the disposal of cardboard, paper, plastic or non-ferrous metals; than consider International Baler Corporation & our range of balers and related equipment. Marathon is known as the leading manufacturer of onsite waste compaction and recycling systems. Our products include stationary and self-contained compactors, compaction containers, transfer systems, and more. For over 40 years, Max-Pak has engineered some advanced baling equipment. Balers we provide include baling presses, cardboard balers, horizontal balers & vertical balers. SSI Shredding Systems provides a wide range of waste management products, including industrial shredders, industrial balers, industrial reducers and industrial compactors. The industrial baler equipment we use today exist because of their ancestors, hay presses, which were invented in the 1800s to make the gathering and transferring hay from the field to the hayloft easier. The first hay presses were powered by teams of horses, who walked in a circle in order to raise a press weight and then let it drop down onto the pile of hay. Later, they also used horse (or mule) powered sweeps. First built inside barns, where they stood two to three stories tall, manufacturers later built portable hay presses. From the hay press machine came the hay baler. In the 1860, farmers began using mobile hay balers that had to be operated by several men at once. Later in the 1800s, engineers came up with a variety of hay baler models, such as hay balers that featured reciprocating plungers and hay balers that needed only one operator. It was not until the 1900s that baler equipment manufacturers began to standardize their products. Also, in that decade, specifically 1936, a man named Innes invented the first automatic baler. This baler, the round baler, had an integrated self-tie feature based off of John Deere grain binder Appleby-type knotters. Three years later, Ed Nolt received a patent for his modified baler. His baling machine model was more reliable than the previous version and became the standard for all round balers. After the invention of the round baler, we finally reached the invention of the industrial baler, which helped usher in the age of recycling. People began using the first waste baling equipment in the 1940s. In addition, manufacturers began using hydraulic compactors in 1941. Over the years, since the 1970s, recycling has become a larger focal point in a variety of industrial and manufacturing processes. Baling equipment enables companies to recycle their material and products, while at the same time reducing the company’s carbon footprint. Today, businesses are more able than ever to control waste management, thanks to innovations in designing composting systems. These systems can be designed around a specific type of baler. Baler manufacturers produce balers that fulfill specialized purposes. Examples of such balers include metal balers, trash compactors, and cardboard balers. Metal balers are designed to bale both ferrous and non-ferrous metal materials. Primarily, these are scrap metals reclaimed for recycling and selling. Trash compactors, also known as waste compactors or waste balers, are used to compact trash and other waste materials. Trash compactors may use vertical or horizontal orientations and may be stationary or portable. Cardboard balers compact and bale cardboard. Mostly, they are used in recycling facilities, but they may also be used by retail businesses that go through a lot of cardboard waste and need to compact them so they have more space. Closed door balers are a type of plastic baler. Specifically, they bale clear plastic film. Round balers are the most traditional type of bale; they are used to make hay bales. They are called round balers because they make round bales instead of square bales. Heavy duty balers are used for applications that require a lot of pressure to compress. These balers are also known as baling presses or drum crushers. There are two types of baler—vertical and horizontal—to choose from in terms of structure, depending on the intended application. Both structure types get their names from the direction that the material travels through the baler. Both types of balers are electrically powered, but also contain hydraulic systems that assist in processing the material. These hydraulic systems greatly reduce the generation of heat and the overall cost of energy. Vertical balers are loaded from the top, and the materials travel straight down through the baler. They are designed to receive and process loads that are lighter in volume and density, such as plastic or cardboard. When the process is complete, the materials must be unloaded manually. Vertical balers are available at a relatively low cost and are usually more compact than their baler horizontal counterparts. Horizontal balers are designed to be used continuously. They have automated feeding features but can also be fed mechanically or manually. Horizontal balers take up more floor space than vertical balers, but they are capable of processing large, high density loads, and a larger range of materials, such as papers, plastic containers, cans, or secondary fibers. Furthermore, horizontal balers can also compact materials such as old vehicle tires or food scraps without any additional processes, as opposed to vertical balers, which may require the process of pre-shredding the materials. Horizontal balers are used extensively in the packaging and automotive industries, where they perform removal and transportation functions. Industrial compactors are machines with similar functions to industrial balers and compactors, but with a few notable differences. One way that industrial compactors are similar to balers is that they reduce material size to make transportation more efficient. Compactors, though, more commonly specialize in waste disposal; the main function of a compactor is to compress non-recyclable material for disposal in a way that reduces the waste management cost for the company. Materials that are processed by a compactor are usually transported to landfills, as opposed to materials handled by balers, which are typically compacted for efficiency in transportation and space. Common industrial baler components include: an input area, a compression chamber, hydraulic arms or rams, wheels, hydraulic cylinders and tying mechanisms (twine, rope, netting, wire, strapping etc.). The input area is where workers or an automated system feeds material to wait. The input area is large so that it can take in large volumes of material at once. From the input area the material goes into the compression chamber, or main cylinder. This is where the arms and such pound and squeeze the material until it takes on the desired compact shape. This shape is usually a square. The binding material then binds it so it may move on. The hydraulic cylinders move the material to and through the system. Balers offer manufacturers and end-users a like a wide range of advantages, including: reliability, affordability and sustainability. First, balers are reliable machines with durability and a long lifespan. Second, because they are so sturdy, manufacturers can source them and purchase used ones for refurbish them at a cost-effective price. Third, industrial balers are essential piece of recycle equipment, especially to high waste producing industries, like the automotive, grocery, and paper and plastics manufacturing industries. The processes of baling and compacting greatly assists in recycling scrap material and offers these industries huge economic benefits. The more waste is reduced, the less time, money, and effort that is required to dispose of it, which leads to more long-term financial benefits for the company. In addition, the use of compactors reduces the emission of carbon dioxide that occurs during the recycling process, thus benefiting the environment. When designing an industrial baler, manufacturers consider a number of important factors, such as: the material to be baled, the amount/volume of material to be baled, frequency of use, required level of mobility, whether or not the baler is meant to be part of a larger conveyor system and all other applicable customer specifications. Using these considerations, baler manufacturers choose and fabricate baler details including: size, shape, compression power, type of binding material and features like arms, wheels, chopping features and conveyor belting. At this point, they also add in important parts like bearing grease, oil and warning labels. For materials that contain residual liquids and oils, they also add a moisture extraction feature. There are custom models of balers available that are capable of producing bales in designated sizes, although they will cost more than a standard model. Smaller bales, for example, are much easier to transport due to being lighter and smaller in size, but the smaller the desired size of the bale, the more time the compression process will take. However, if a company requires a specific size of bale for efficient storage and transport, a custom baler model may be worth the extra cost. Industries such as retail, food service, and warehouses can benefit from customized bale sizing, enabling them to more efficiently compress boxes, excess packaging waste, and food scraps. In the United States, it is very important that your baler be OSHA (Occupational Safety and Health Administration) certified. If it is not, you cannot trust it to be safe to operate. In addition, your baler should match any and all ISO (International Standards Organization) standards that apply to your application. You should also check for any applicable industry standards, such as USDA (United States Department of Agriculture) standards. For the best results, we recommend you work with a reputable industrial baler supplier, such as those we have listed on this webpage. All of those with whom we work are experienced and trustworthy. To find the right one for you, we recommend you select one from among our list. Do not just pick one at random, though. Instead, start by putting together a list of your specifications. This includes things like: budget, delivery preferences, required delivery date, standard requirements, installation support preferences and post-installation support preferences.  After you have got your list, browse the company profiles we’ve provided. Reference your list frequently as you do so. Pick out three or four to whom you would like to speak more, then reach out to each of them. Once you have spoken with each of them, compare and contrast your conversations. Pick the company you believe will provide you with the highest quality products and the best customer service. Good luck!